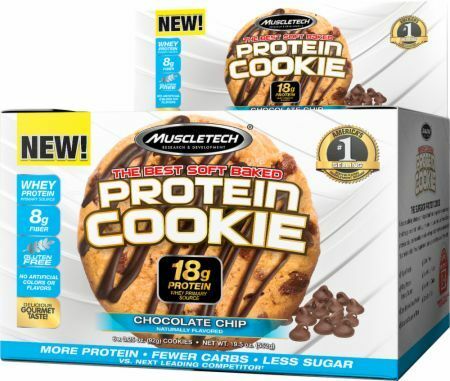 MuscleTech Protein Cookie - 6 Cookies (Birthday Cake) for $9.99 (B1G1 FREE) at Muscle and Strength! MuscleTech Protein Cookie - 6 Cookies (Peanut Butter Chip) for $1.99 at Supplement Hunt! This protein cookie is short-dated and has 18g protein yet 49g carbs and 9g fat, so it’s far from a clean ratio… but if you’re big on carbs, you can get in on the fun very cheap here! MuscleTech Protein Cookie - 6 Cookies (Birthday Cake) for $9.99 (Buy 1 Get 1 FREE) at Muscle and Strength!